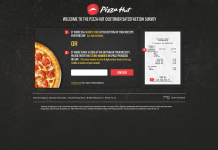 PizzaHutXboxOneS.com: How To Win An Xbox One S From Pizza Hut? Today, Pizza Hut announced the return of one of its most popular offerings ever, the Triple Treat Box, two Medium 1-Topping Pizzas, Breadsticks and The Ultimate HERSHEY’S Chocolate Chip Cookie in one easy box for just $19.99. 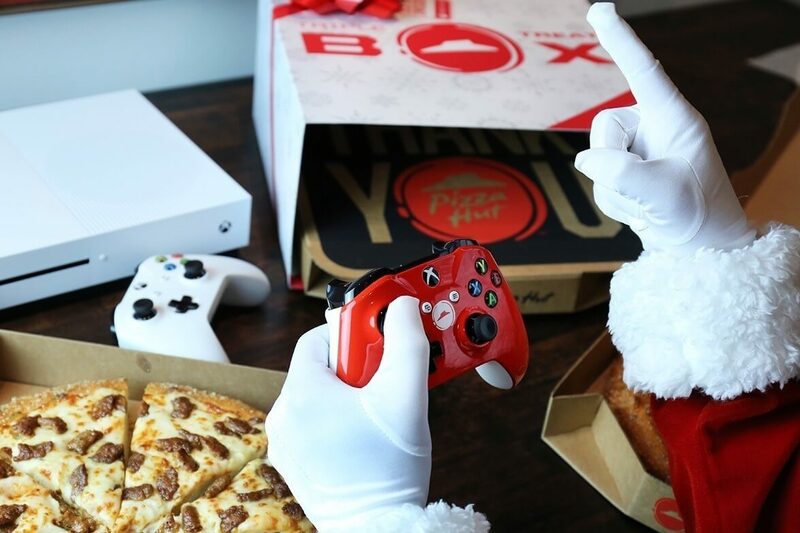 But this year, the widely popular treat does not come alone as each box will include an entry code that customers can enter online at PizzaHutXboxOneS.com for a chance to win 1 of 1,140 Xbox One S gaming consoles. It’s the Pizza Hut Holiday Triple Treat Box Hourly Xbox One S Instant Win Game & Sweepstakes and it runs through Christmas. Every hour during the Promotion, a new winner will win an Xbox One S with custom Pizza Hut controller and a standard Xbox One S controller. After the end of the Promotion, a Grand Prize Winner will get a Samsung 65″ 8-Series 4K SUHD TV, sound system and Xbox One S console and game. There are two ways to participate for a chance to win an Xbox One S from Pizza Hut and we will explain both to help you increase your chances of winning. First, you need to know that you will need an entry code in order to participate into the Pizza Hut Holiday Triple Treat Box Hourly Xbox One S Instant Win Game & Sweepstakes. Entry codes are available on every specially marked Triple Treat Box, while supplies last. However, you may also enter without making a purchase using the free method of obtaining an entry code. You can find your 10-digit code on the left interior flap of the Triple Treat Box. 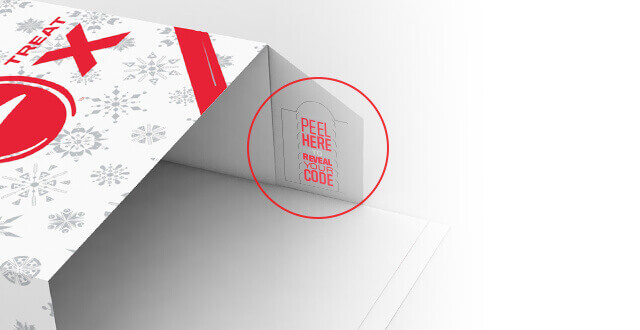 Look for the “PEEL HERE THE REVEAL YOUR CODE”. Alternatively, you may register at pizzahutxboxones.com/AMOE to receive a code. Simply follow the instructions to receive an email with 2 Codes. No more than 2 Codes per day may be obtained by an eligible entrant through this method. Once you obtained your code, complete the following 4 steps to enter your code. Enter your email address and click “Enter Now”. Register by completing the registration form as directed and click “Submit”. Enter your code and click “Submit”. As you result, you will instantly find out if you are an instant winner. In addition, you will automatically be entered into the Sweepstakes for a shot at the grand prize. Regardless of the method used to obtain a Code, you may submit no more than 20 Codes throughout the Sweepstakes Period. Limited to a maximum of 2 codes/play/entry per day during the Sweepstakes Period. Pizza Hut’s Holiday Triple Treat Box Hourly Xbox One S Instant Win Game & Sweepstakes starts on 11/7/16 and ends on 12/24/16. Open only to legal residents of 50 US/DC, 18 years or older at time of entry. Sponsored by Pizza Hut and administrated by Prize Logic. No purchase necessary. See official rules for free method of obtaining codes. See www.pizzahut.com/xboxone for complete terms and conditions.